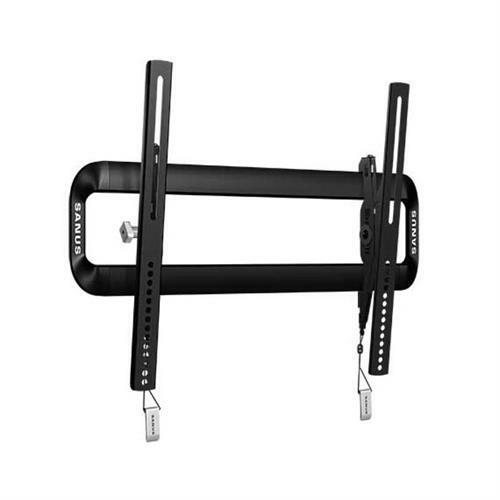 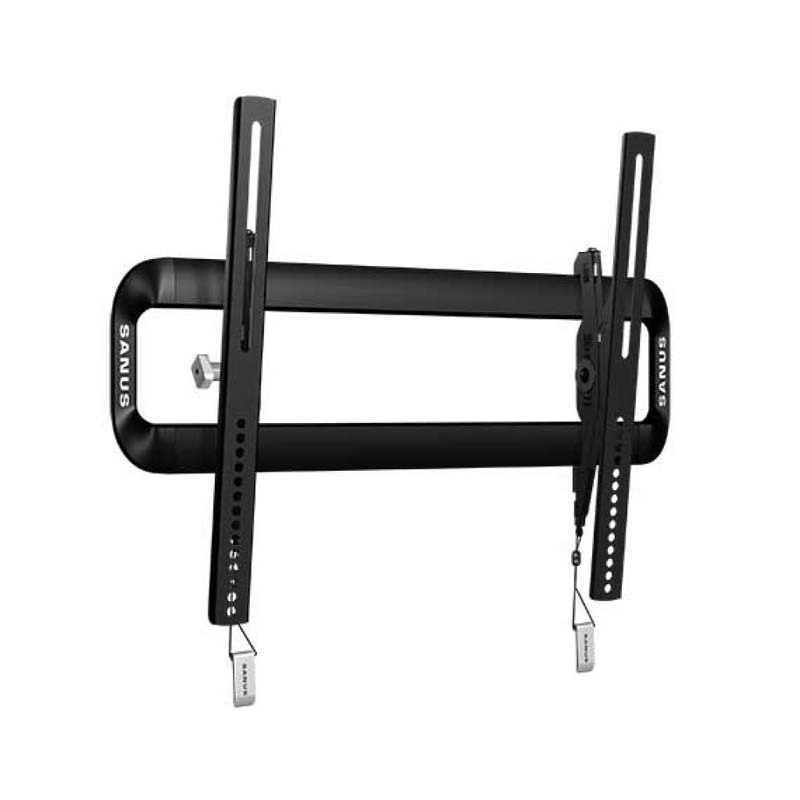 More on the Sanus Premium Advanced Tilt 40 to 50 inch TV Wall Mount VMT5B1 below. 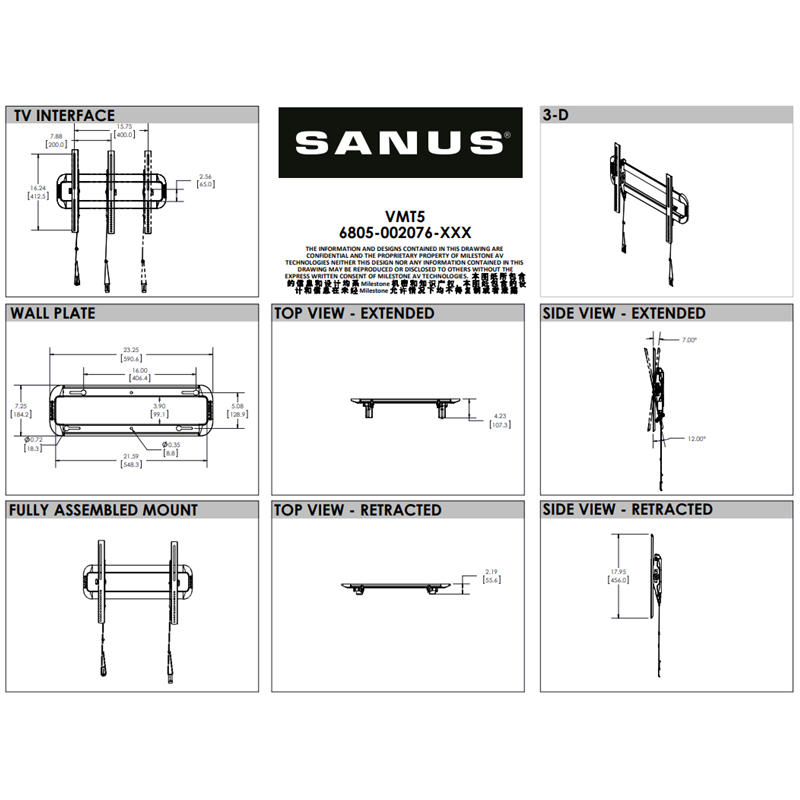 The Sanus Premium Advanced Tilt 40 to 50 inch tilting flat panel mount gives you the best view from the floor or couch. 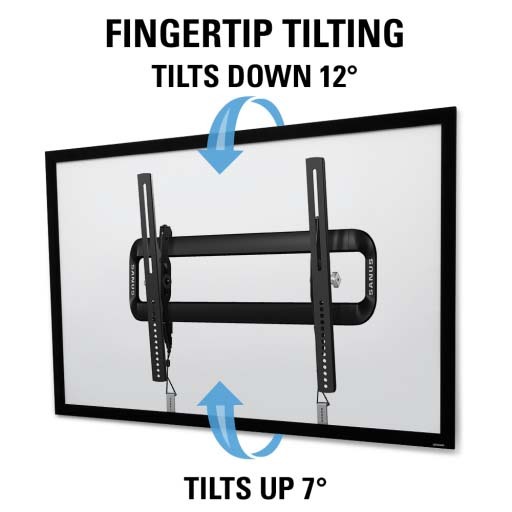 Fingertip tilt allows for easy TV adjustments, and the mount tilts the TV back for easy cable access. 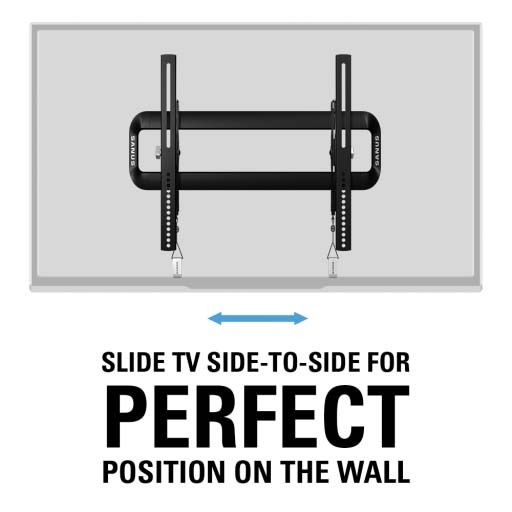 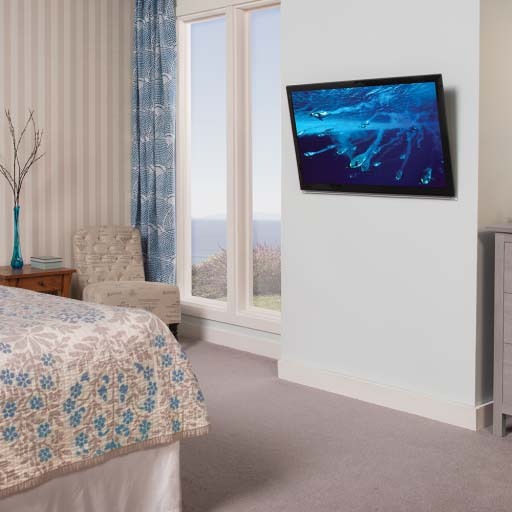 The TV can slide from side-to-side for perfect positioning on the wall, and a safety tab provides a safe and easy connection you can hear. 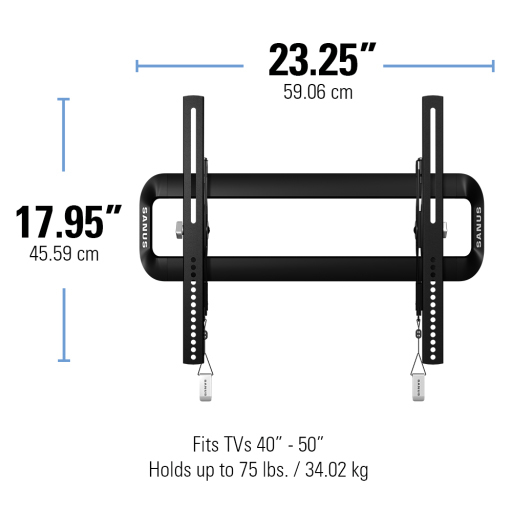 Durable steel construction with black powder coated finish.